You’ve heard lots about detox during this transitional time of year, from winter to spring, for those of us who live in four season climates. Whenever we transition from one season to another, it’s a great time to detox. Out with the old, in with the new. 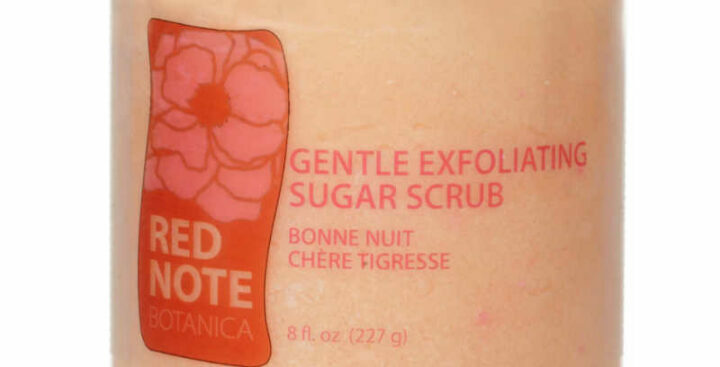 Why not combine an internal detox (like our easy Dandelion Detox) with a topical detox (with one of our Gentle Exfoliating Sugar Scrubs) Red Note has the perfect gentle exfoliating sugar scrub YOU and YOUR SKIN will love! There are lots of wonderful skincare “extras” to pamper and treat your skin in the most luscious way, and we’ll talk about in blogs to come: peels, masks, serums, moisturizing fragrances, etc. Skincare Resolutions – Are they still relevant? Comments Off on Skincare Resolutions – Are they still relevant? Do YOU still even think about New Year’s resolutions? Those things some of us promise we’ll revolutionize in an amazing way about life, love, work, and everything in our personal universe? I’ve noticed that it seems almost passe to host this New Years resolutions mindset in 2019. Talk of resolutions has gone into hiding. In it’s place, there’s a lot of talk about commitment to new ways of looking at things. Or, thinking about how we want to feel? How we want to care for ourselves to help us to feel the way we want to feel? Is this the same thing as resolutions with a new spin, or does it truly inspire something more innately successful at motivating, with the secret potential to motivate in a way that resolutions fail to do? What do you think? Do you love writing down a to-do list of resolutions, or would you prefer to dream about how you’d love to feel in an ideal world of your making, and then take baby steps, or jumps if you like, into creating that world? Whatever works for you – jump in, let’s shake things happen, make some dreams come true in 2019! If resolutions work, super! If a new mindset (committing to wearing new glasses, so to speak), looking at your life from a fresh perspective or reflecting upon how you want to feel, and then taking actions to make you feel this way seems intriguing, why not try it on? However we choose to think about our lives in 2019, why not toss our skincare routine into the mix? How we look is more than skin deep. It’s indicative of our overall health, and expresses to the world how we feel about ourselves. Let’s make it absolutely F-A-B-U-L-O-U-S, dig in, and have fun! Getting gorgeous this holiday season begins with your skincare for the bath ritual. Ritual means more than a 5 min shower or bath. A ritual is “a big deal”. It implies indulging in something absolutely fabulous that, in this case, you create for yourself. BECAUSE NURTURE YOU TIME IS NOT A LUXURY – IT’S A MUST! Hey, you totally deserve more than 5 min, so make it happen! You know what they say on the flight – secure your own mask first…Think of your bathing ritual as a lifesaver, because it just might save you from the holiday bonkers busy craziness! Make time for a warm relaxing bath to relax and refresh before going out. Get out the candles, fragrant soaps, sugar scrubs, bath melts, a glass of tea, cocoa, wine (whatever you’re in the mood for), and maybe some music. 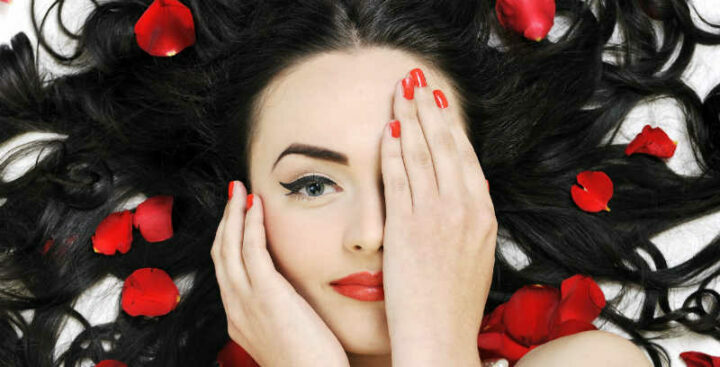 Think of your skin as the most elegant, carefully prepared canvas upon which everything else rests – your make-up, hair, clothes and fragrance. Feeling great in your skin is also an emotional thing. It changes how you feel, move, speak, think, respond, and live your inner and outer lives. It’s where it all starts. The perfect, sure-to-be-loved gifts? Choose your favorite fragrance (or hers or his) in a colorful gift set of sugar scrub and body butter. Ready to gift in a brightly colored holiday gift bag or our newest package, a cute white “purse” that makes me smile (and I think it will do the same for you and yours) along with an inspirational red love note. Your loved one will discover their smoothest skin ever, by first exfoliating and then applying super luscious body butter in a fragrance they’ll love. They’ll be sure to thank you every time they feels their softest ever skin that smells scrumptious. Winter dryness leaving you feeling suddenly sympatico with Chinese Emperor Qin Shi Huang’s 3rd century B.C. 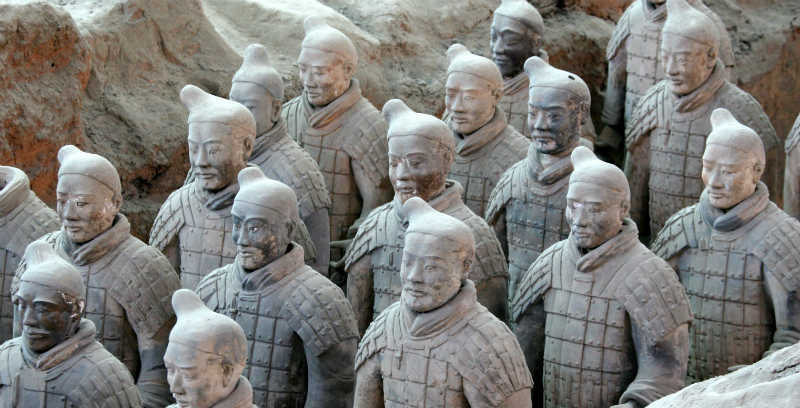 terra cotta warriors? No worries. Nothing our gentle exfoliating sugar scrub and whipped body butter can’t heal and bring back to radiant life. Isn’t it nice when this happens? I mean the simple and real fix. Are you a Lebenskunstler? It’s one of the most beautiful words I know, and no it has nothing to do with Oktoberfest. The first chill in the air, falling leaves, autumn storms, and a recurring desire to make my hibernation nest cozy and warm makes me want to get in touch with my inner lebenkunstler. It’s too good a feeling to keep to myself, so I want to share this feeling with you. Maybe it’s time for you to discover YOUR inner lebenkunstler too? Leben (life) and kunstler (artist) combine to make a yummy word that describes someone who makes an art of her everyday life. Now, who wouldn’t want to be a lebenkunstler? Don’t worry if you’re not feeling it right now, or never thought of yourself as an artist. No one is born a lebenkunstler, and it’s not at all hard to become one. We’re not talking about a visual (Picasso) or dramatic artist (Meryl Streep). A lebenkunstler is more of a ritual artist, a decorative artist in the way she decorates her moments, hours and days, as well as the space in which she lives. 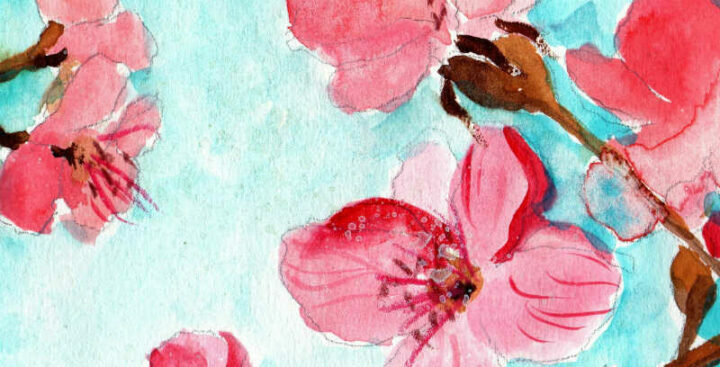 Elements of everyday life touched by creative rituals add love add meaning to our lives. As it becomes clear that colder weather has come to stay, our indoor environments, where we spend more of our time until spring (in Minnesota where I live and in other four season climates) send out a siren call to become the most inviting, genuine expressions of our unique selves. Whatever you choose, remember, they don’t have to be monumental to be meaningful and memorable.